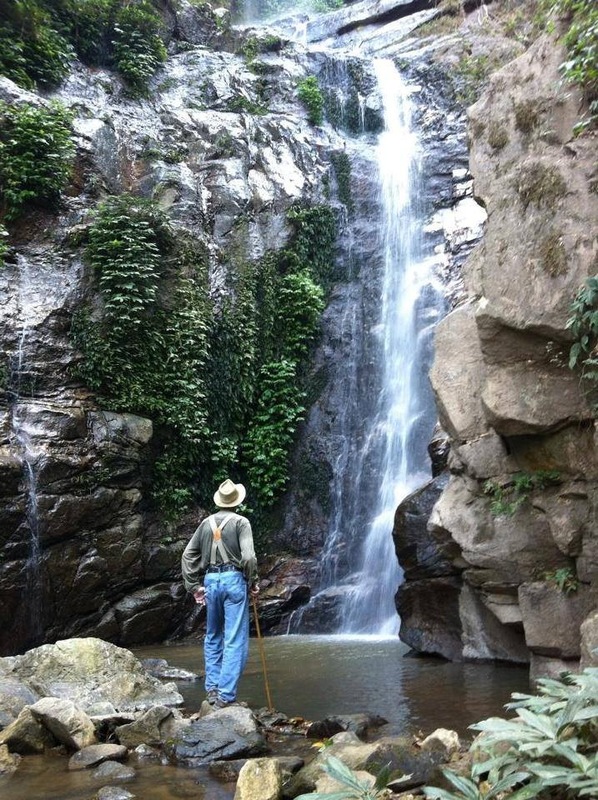 Naam Tok Dtaat Mook — a hidden waterfall on the Huay Tung. Over 300 feet high, Dtaat Mook is rarely visited by ordinary people, encircled as it is by the dark rituals that protect the jungle. 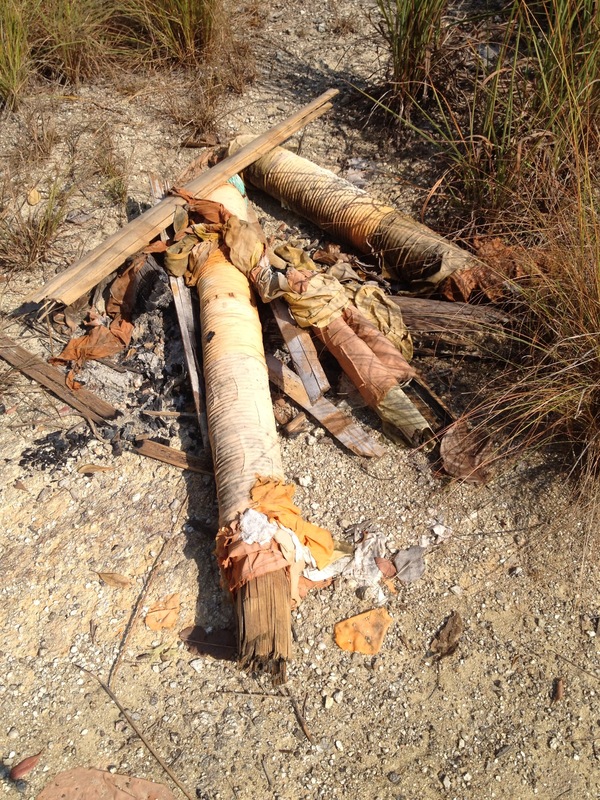 My intrepid friend, Brian Hayden, photographed three odd fires beside the track as we made our way up the mountain, all three of which contained the charred remains of broken bamboo poles tightly wrapped in saffron robes and bound with plastic string. Click about and see what you can see — if you dare, if you dare.